Your body is amazing. Did you know that the composition of a mothers breast milk will changed based on the nutritional needs and deficiency of her baby. It is believed the process is regulated by the baby’s saliva as it feeds. 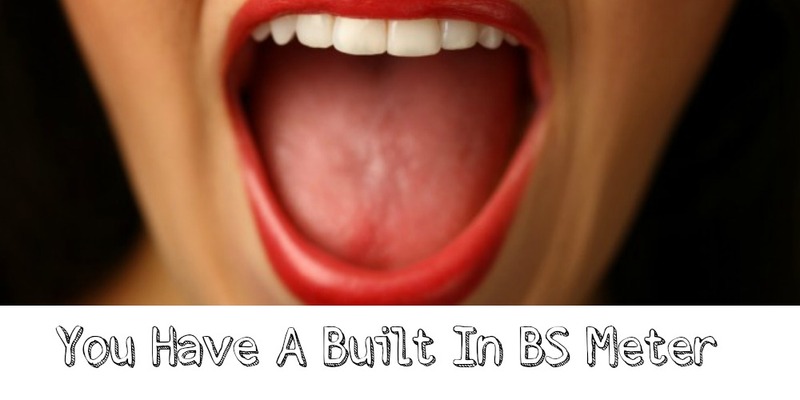 What does that have to do with your built in BS meter? Do you not think your body as an adult has the same capacity to assess itself and place a distress call when it is lacking certain nutritional content? I want you to start trusting that your body is intelligent. There is a reason your body is not satisfied when you eat CRAP. Your body does not count calories. Your body is constantly balancing nutritional content and its’ needs. Your main objective may be to be skinny but that is not your body’s main objective. Your body is your advocate. Your body is begging you for a functional level of minerals, vitamins, and nutrients to run all of its’ systems optimally. Until you give your body what is is really asking for it will keep pleading with you through cravings, prompting and unsatisfied red flags. The problem is previously these built in instincts would motivate you to climbing a tree to grab that coconut. Now you just look down at the target check out and grab pseudo food to stop the pleading, which is much more appealing yet far less appetite suppressing. Remember a calorie is a measurement of energy. Please be aware of how much energy is in your food BUT if you are just balancing your calorie intake and not paying heed to nutritional content you are not going to “win”. Your body is a fine tuned machine held together by nerves and a chemical explosion of hormones that will beg you more persistently than any 3 year old that NEEDS something from you right now. Stop underestimating your body. Start listening to it. Start trusting it. The more you give it what it wants (a variety of food closest to the way God made it) the less it is going to keep nagging you for more AND Guess what? Even though it is not your bodies main objective your bathing suit will fit better.